These magnetic sheets will spark students’ and crafters’ imagination! Colorful vinyl surface provides a magnetic backing for finished projects. Easily cuts with scissors or a hobby knife. Available in many bright colors! Please note, this is a vinyl product that is not inkjet or laser printable, nor can it be run through a copier. It also has no dry erase properties. 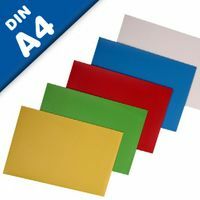 Colors: Red, Orange, Yellow, Blue & Green.Colorful vinyl surface provides a magnetic backing for finished projects. Easily cuts with scissors or a hobby knife. Available in many bright colors consisting of blue, yellow, green, purple, orange, red and black. This particular sheeting has a magnetic back and a colored vinyl front of your choice which can be painted on, screen printed on, stenciled on and more! Colored Vinyl Magnetic Sheeting is great for kids crafts, home decor, point of purchase displays and more. We offer Magnetic Sheets with Adhesive, White Magnetic Sheets, Colored Magnetic Sheets and Dry Erase Magnetic Sheets. Magnetic Sheeting is perfect for signs, posters, displays, car signs, crafts and much more. Who supplies high quality Magnetic Sheets with Colored Vinyl? Magnosphere offers best priced Magnetic Sheets with Colored Vinyl metal discs globally to all industries, including Automotive, Aerospace, Military, Advertising, Design House, Electronic and Academic/R&D. Please inquire for custom Neodymium magnets or magnetic assembly. 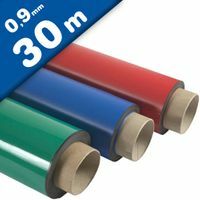 Buy Magnetic Sheets with Colored Vinyl at Magnosphere and get a better deal!